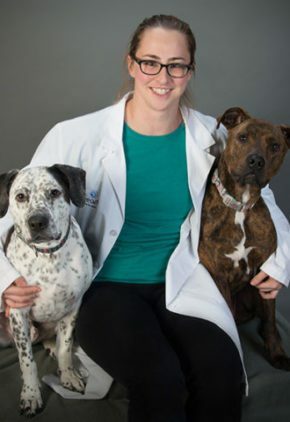 Dr. Sara Bancroft is a small animal medicine and surgery intern. 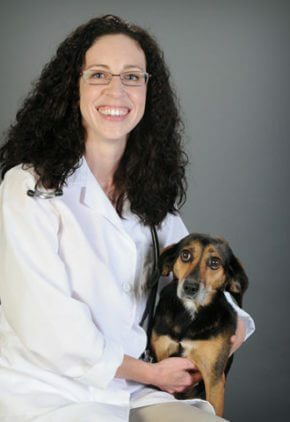 Dr. Bancroft likes to travel, volunteer at animal shelters, read and paint. She has four furry family members: bulldog mix Daisy Mae, lab mix Baloo, and cats Kitten and Indiana. Anesthesia and pain management have always been of interest to Dr. Alexia Berg, as well as cases involving trauma, toxicities, sepsis, wounds and environmental conditions. Dr. Berg enjoys rugby and soccer, traveling, camping, hiking, skiing, canoeing and biking. Ellie and Porkchop are her dogs, and Nibbler and Winnepeg are her cats. 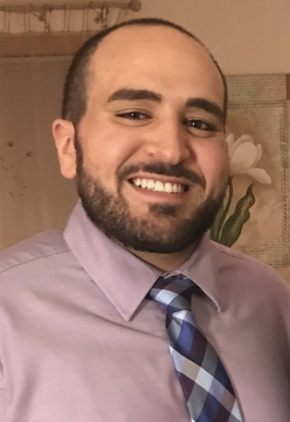 Dr. Kevin Bitu enjoys all aspects of emergency medicine. Dr. Bitu has a Manx cat named Linus. 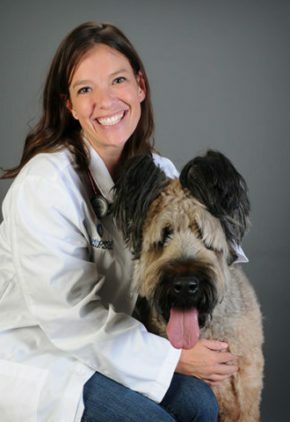 Dr. Carly Campbell enjoys the hands-on nature of surgery as well as the opportunity to improve the quality of life for our beloved companions. Dr. Campbell adores her cats, Leiah and Meeps, and together they watch ice hockey, each wearing a personalized Chicago Blackhawks jersey. Dr. Lauren Cunningham's professional interests include diseases of the kidney, specifically protein-losing kidney disease, and fungal disease. 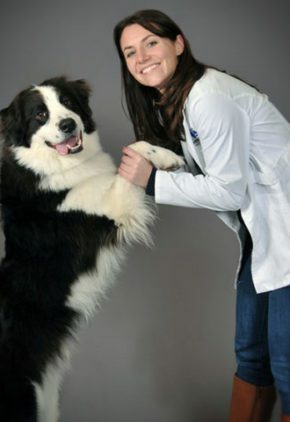 Dr. Cunningham likes spending time with her boys, border collie mix McLovin “Mac” and mini Australian shepherd Martin Scorcheezie “Cheese.” She also enjoys landscaping and decorating her home. 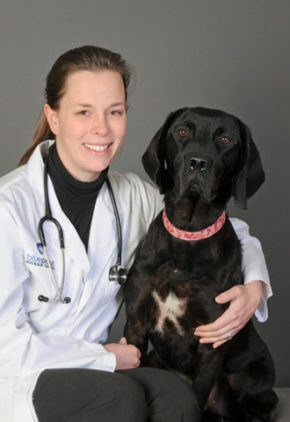 Dr. Megan Duffy has a number of clinical interests to include electrochemotherapy, rescue therapy for relapsed lymphoma in dogs, creative treatment of atypical lymphomas, and pain control. She is fascinated by injection-site sarcomas in cats and is actively looking at new ways to battle the disease, and she feels she’s getting closer to finding a better way to treat large cell gastrointestinal lymphoma in dogs. Physiotherapy and rehabilitation are also fields of interest. Dr. Duffy trains for and competes at dog events – obedience, rally, agility and conformation – with her Belgian Tervuren. She also enjoys traveling, hiking, reading and skiing. 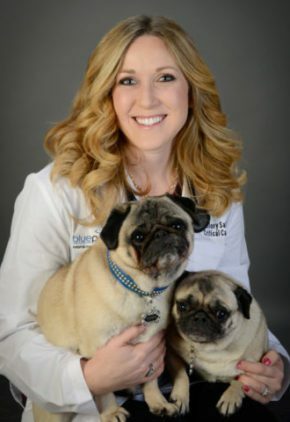 Dr. Emily Edstrom enjoys all aspects of oral surgery, to include root canals and extractions, but she is particularly interested in treating different forms of oral tumors. Dr. Edstrom enjoys the Minnesota lakes with her husband. Other favorite activities include rock climbing, camping and traveling. Their Labrador mix enjoys the Minnesota weather. 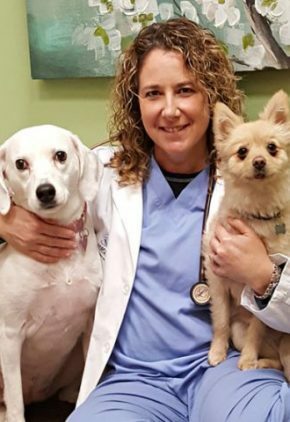 Dr. Bishoy Eskander finds emergency surgeries, like gastric dilatation volvulus, laryngeal paralysis and hemoabdomens, especially gratifying because the patients are extremely sick when they come in but leave with their tails wagging within days. He also enjoys orthopedic and minimally invasive surgeries. Dr. Eskander is an avid volunteer at his church working with youth groups and teaching Sunday school. After playing competitively for 10 years, he still enjoys soccer. He has two dogs, lab mix Hersheys and Viszla/pit bull mix Maverick. Dr. Kimberly Gale truly loves emergency medicine because of the variety of cases she sees. Dr. Gale’s favorite pastimes include hiking, traveling, gardening, reading, horseback riding, skiing and cooking. Noodle is her border collie mix, and Fishstick is her terrier mix. Dr. Sabrina Garcia is part of our emergency medicine training program for clinicians. Dr. Garcia tries to travel as much as possible. She also likes hiking and playing video games. Harley is her lab mix who might love everyone just a little too much, and Midnight is her cat with an attitude, choosing to love on people only when she feels like it. Dr. Erin Griebie particularly enjoys CT angiography, a test that combines a CT scan with an injection of dye to produce pictures of blood vessels and tissues. Her research during her residency was focused on using this type of imaging, as well as ultrasound, to image characteristics of hepatic, or liver masses. Dr. Griebie and her husband enjoy running, biking, skiing, fishing, sailing, camping and traveling. They have one son and two pets, yellow lab Cedar and cat Amos. Dr. Colleen Guidot enjoys all aspects of emergency medicine. Dr. Guidot loves to travel, try new restaurants, run, bike, rock climb, camp and hike. She and her husband have two German shorthaired pointers, Apollo and Murphy, and a white tabby cat, Mac. Dr. Donnell Hansen frequently speaks on on dentistry and oral health topics for the veterinary community. She has a particular interest in cancer care and repair of traumatic injuries. 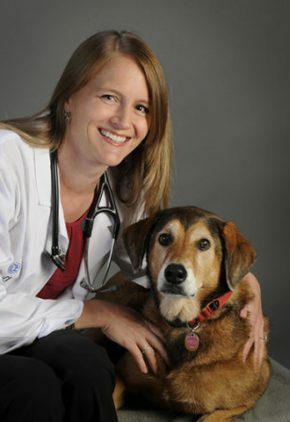 Dr. Hansen enjoys spending time with her husband, also a veterinarian, her son and daughter, and a brigade of beloved pets. Skilled in all aspects of neurology and neurosurgery, Dr. Susan Hollman has a comprehensive list of clinical interests. She particularly enjoys treating inflammatory diseases of the central nervous system and intracranial neoplasia, as well as interpreting MRI and CT neuroimaging. Her surgical interests include hemilaminectomies, ventral slots and advanced surgical procedures such as spinal and brain tumor removal. Married with two sons, Dr. Hollman’s favorite pastimes include reading, swimming, playing classical piano and gardening. The family has three cats and a terrier mix. 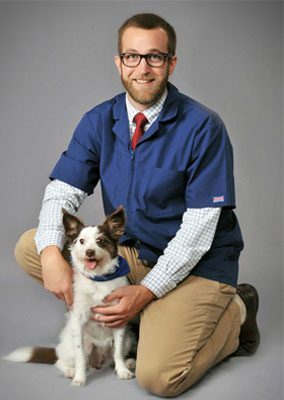 Dr. Andrew Jackson is active in the veterinary community, often speaking at veterinary conferences and meetings and having served on several committees for the American College of Veterinary Surgeons. Dr. Jackson’s hobbies include skiing, music and reading. He enjoys spending time with his family and many pets. 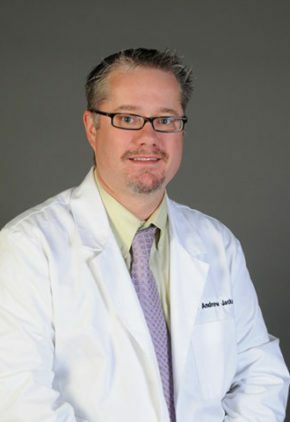 Dr. Tony Jarchow's specific clinical interests include gastrointestinal, neurologic and endocrine diseases. Dr. Jarchow enjoys running, playing and watching sports, live music and movies. His dogs are Mac, Cheese and Pickle, and his cat is Olive. 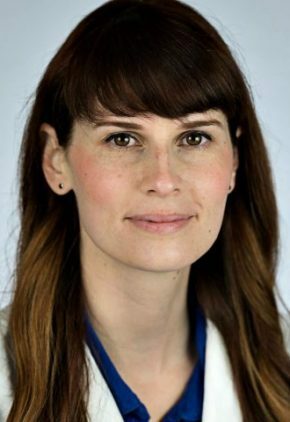 Of course, Dr. Megan MacLellan loves radiographs and ultrasounds, but her favorite diagnostic imaging studies include computed tomography (CT scan) of the abdomen and magnetic resonance imaging (MRI) of the brain. Dr. MacLellan competes in strength and conditioning competitions. Winston is her black-and-white terrier-pointer mix, and Charlie is her pitbull-boxer mix. Dr. Allison Mazepa enjoys working through complex diseases involving multiple organ systems. Her specific areas of interest include gastrointestinal/liver disease as well as hematologic disorders and immune-mediated diseases. 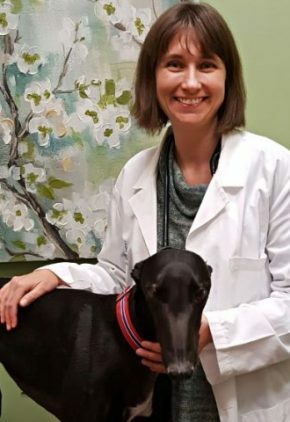 She considers minimally invasive procedures, such as endoscopy, not only exciting to perform because they are less stressful to the pet, but also excellent sources of diagnostic information for the owners. Dr. Mazepa is content spending time at home with her husband and three children. She also likes to run and watch the Twins play baseball. The family has a greyhound named Forrest and three cats, Ginger, Milo and Linus. Dr. Kayla Moore’s clinical interests include ophthalmology and neurology cases, and complicated medicine cases like immune-mediated hemolytic anemia or diabetic ketoacidosis. Dr. Moore has two cats, Hermione and Ginny. Dr. Alyssa Mourning enjoys all aspects of internal medicine. Dr. Mourning spends most of her time with family and friends including her husband, sons, five cats and a briard. Dr. Mourning’s other hobbies include reading, spending time outdoors, and watching professional Minnesota sports. 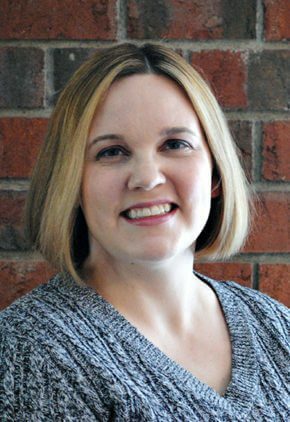 Before joining BluePearl, Dr. Jenifer Myers was a clinical instructor at the University of Minnesota, where she received the Clinical Teaching Award and prestigious Pfizer Distinguished Teaching Award. 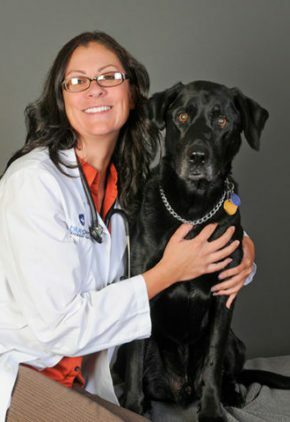 Dr. Myers’ family includes a black lab named Dixon, a cat named Dante, and a dressage horse named Twister. 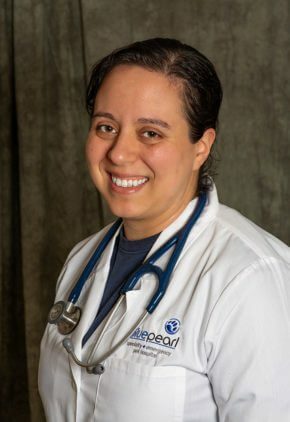 Dr. Lisa Powell came to BluePearl with 15 years of experience as an intensive care unit director and professor at the University of Minnesota. 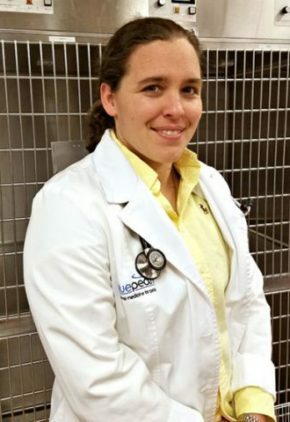 A consummate educator and prolific writer, she has held editorial positions with the Journal of Veterinary Emergency and Critical Care and Clinician’s Brief. She has worked with the St. Paul police and fire departments and in 2011 was awarded the Minnesota Public Safety Service Award of Merit for going above and beyond to help save the life of a police K-9 who was stabbed in a robbery attempt. Dr. Powell’s clinical interests include treatment of septic, critically ill patients and respiratory disease, especially conditions requiring mechanical ventilation. Some of her favorite cases to treat are trauma and toxicities because of the number of successful outcomes. Dr. Powell’s favorite pastimes include exercising, biking, swimming, hiking and traveling, especially to a beach. Her furry family includes an orange tabby, a black kitty, a lab, a hound mix and a Pomeranian. 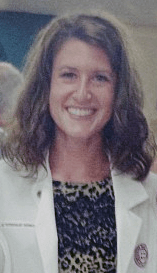 Dr. Mallory Salcedo is particularly interested in shock and resuscitation including microcirculatory monitoring, SIRS/sepsis, respiratory failure and mechanical ventilation. Dr. Salcedo’s favorite pastimes include riding horses, spending time in the garden and yard, painting, and visiting family in California. Jezebel and Tonka are her two pugs, and Mushu is her Himalayan cat. 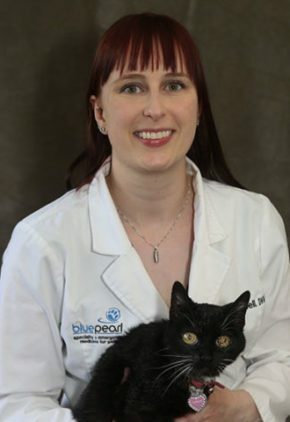 Prior to joining BluePearl, Dr. Nicole Scotty Trumble was an assistant professor of comparative ophthalmology at the University of Minnesota. 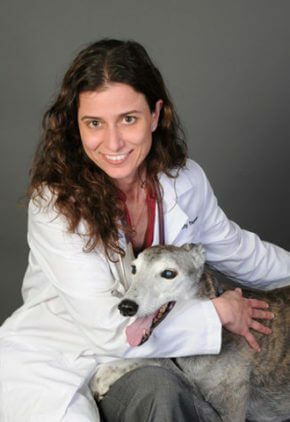 She has authored numerous scientific articles and presentations in the field of veterinary ophthalmology. Outside of work Dr. Trumble enjoys family time with her husband, two sons and a cat. Some of her favorite hobbies include cooking, finding great restaurants and great children’s books, biking, cross-country skiing, and music. Dr. Kendall Wallace is an intern in our internal medicine service. Originally from the Midwest, Dr. Wallace is happy to be able to reacquaint herself with its tundra. She also enjoys trying new restaurants and running around the various lakes in the area. Dr. Daniel Wingert enjoys all aspects of emergency medicine. Dr. Christina Wolf's professional interests are wide-ranging and include spinal surgery hemilaminectomies, ventral slots, and spinal tumor resection and epilepsy. Dr. Wolf and her husband are avid hikers and have extensively explored the trails of the Smokey Mountains. She also enjoys cycling, running, reading, and curling up with her beagle-mix, Gerty. Experienced in all aspects of emergency medicine, Dr. Rick Yantes particularly enjoys endoscopic procedures. Dr. Yantes enjoys paddle boarding. He has two turtles and two cats. Dr.Jeff Yu enjoys all aspects of small animal surgery. 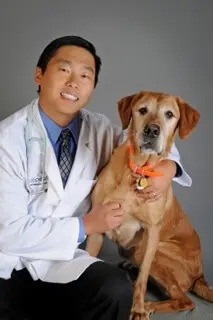 He is a member of the American Veterinary Medical Association, Veterinary Orthopedic Society, and American Zoo and Aquarium Association. Dr. Yu enjoys spending time with his wife, sons, horses, dog, two cats and fish in his saltwater aquariums. He can frequently be found fishing, camping, hiking and white water rafting. The opportunity to use her skills in a wide variety of cases, and the knowledge she gains, drives Jessica every day. She’s passionate about toxicity cases, leadership and nursing care. Jessica volunteers as a Girl Scouts co-leader, and at home she has Zeke, a one-eyed Pekingese; Lefti, her three-legged cat; and gets eggs from her 14 hens.